NOTE: This guide is provided as a courtesy and may not reflect the most recent version of Wix. Dubsado does not offer support related to your Wix website beyond this article. This article will guide you through the steps of embedding your Dubsado Lead Capture form on your Wix website. Please note that at the time of writing, Wix ADI does not support embedding HTML code and you must switch to using the Wix Editor. Learn more here. 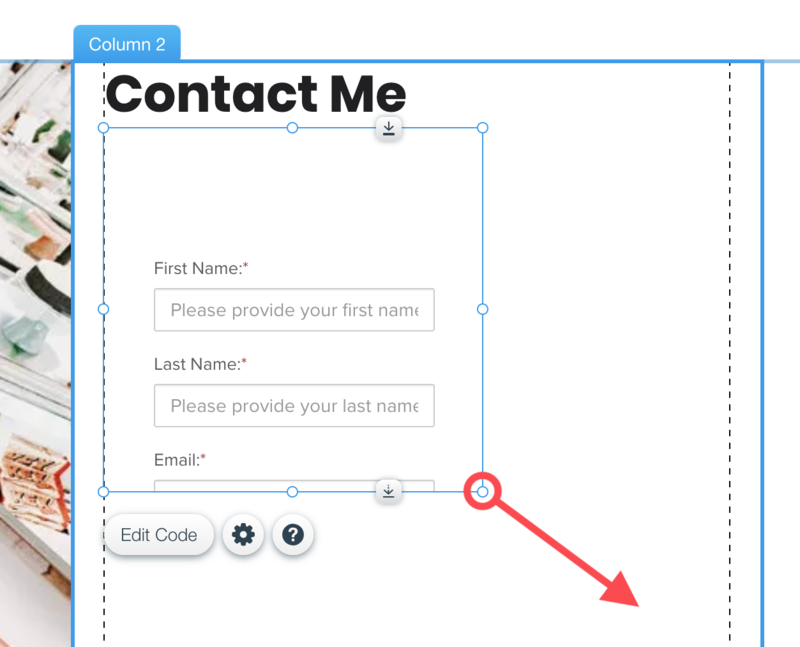 Open the page where you'd like to embed your Lead Capture form in Wix and click Add on the left-hand side. From the Add menu, choose More and then HTML iFrame to insert this element into your page. 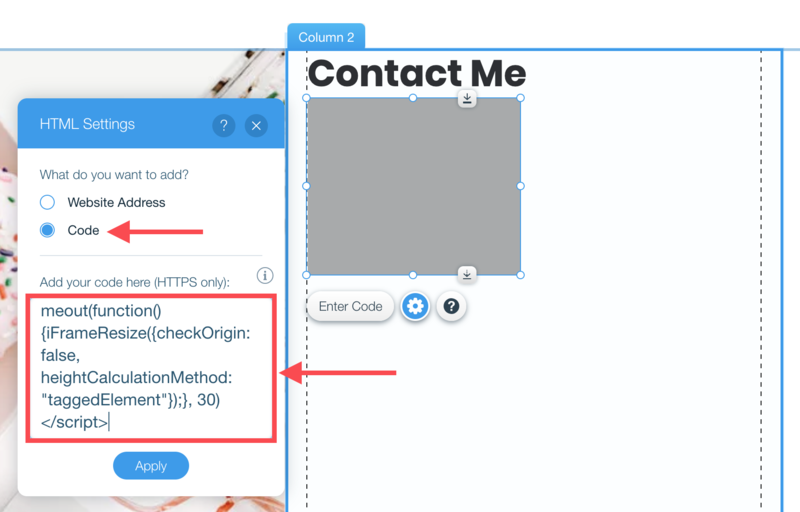 Once you Apply the code, you will need to adjust the width and height of the iFrame element until your entire Lead Capture form displays. Make sure you can see the Submit button at the bottom! You may need to make additional adjustments to the mobile view of your site. 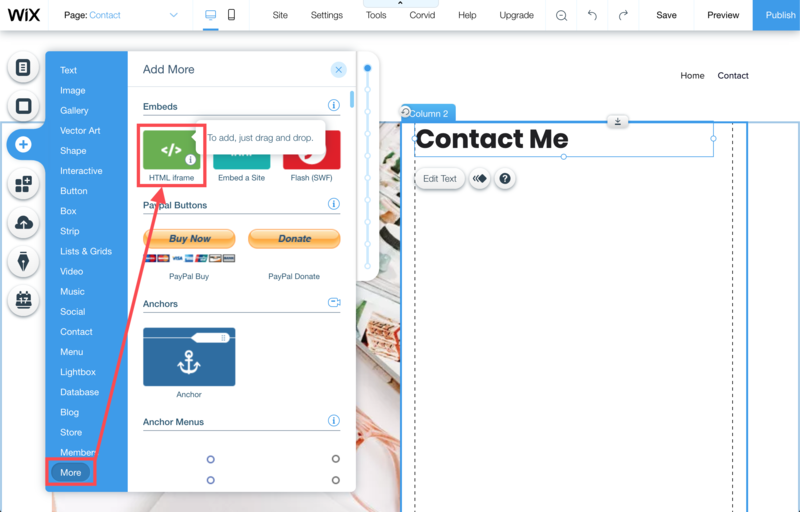 If there is too much space at the top or sides of your form, you may want to add a Code Block to your Lead Capture to adjust margins and padding.